When the Rebels need a tough starfighter, call in the Y-wing! Drive the weapons loader into position and lift the ammo into place. Then seat the Y-Wing Pilot, lift the landing gear and take to the skies. When you reach your target, fire the shooters and turn the gearwheel to open the hatch and drop the bombs! 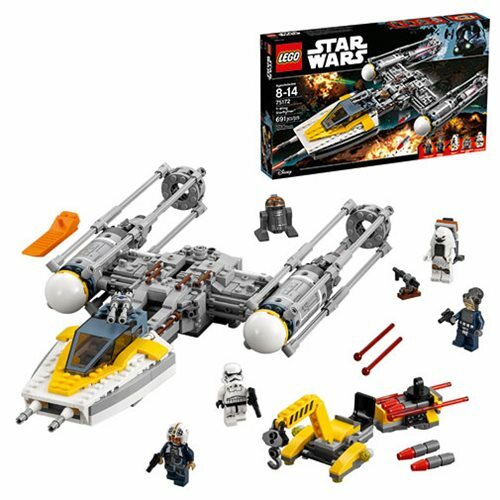 The LEGO Star Wars 75172 Y-Wing Starfighter includes 691 pieces. Ages 8-14.